I'll admit that I usually just down whatever's in front of my face without thinking twice, but to do things faster, cleaner, and more efficiently, you've gotta know all your food hacks. From unwrapping Hershey Kisses correctly, to eating oranges without a mess, to more convenient ways to snack on potato chips and Cheetos, there's a lot to learn about the ways you eat things. And now, I've just learned that I've been eating cupcakes wrong my entire life! 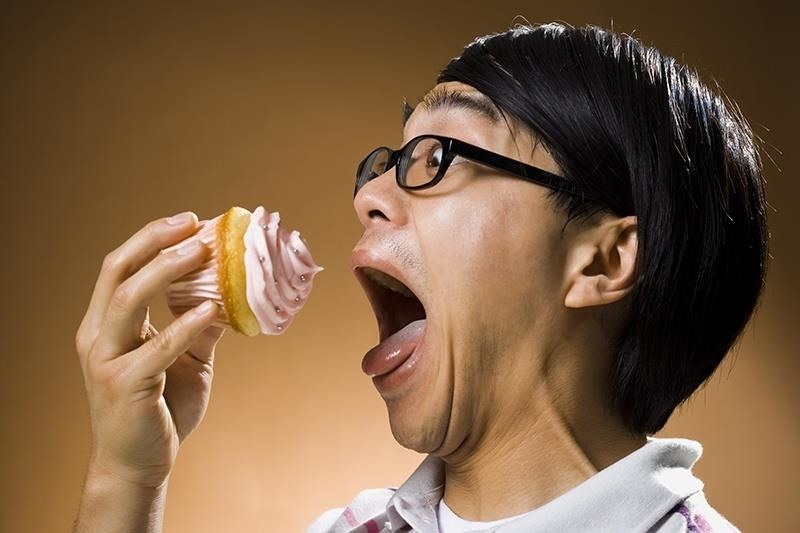 Unless you're eating a cupcake with a fork, you're going to get some icing on either your fingers, face, or clothes. It never fails. But you don't need a fork to act all gentlemanly and stay clean. The answer is all about re-purposing the assets you already have. By that, I mean the cupcake itself. Check out Foodbeast's video below to be amazed. Until this very day, I've been getting super messy and super frustrated for no reason. Now all I have to do is turn my cupcakes into sandwiches and life will be fine. Goodbye, frosty beard. Hello, sugar sandwich. Who decided that every other way to eat a cupcake is wrong? And who decided they should be the decider? Not sure there is a wrong way to eat a cupcake, but certainly less messier ones. The real question is, who decided that being the decider was really a decision to be decided in the first place? Cupcakes are a terrible design and the result of a lazy baker! Why don't they just save everyone the mess and misery and MAKE the cupcake like that! Oh wait... they do! It's called a DING DONG!